If you want to ring in 2019 at a bar, Happiest Hour in Harwood District is an excellent choice. There will be five balloon drops, a stacked bar, and patio viewing of the Reunion Tower’s fireworks show. Cidercade is another bar you can spend New Year’s at this year. Guests receive unlimited play on arcade games, a Slow Bone barbecue buffet, and a cereal bar at midnight. If you’re more of a club person, check out Sidebar’s Revel New Year’s Eve party. The semi-formal event will have two bars, three DJs, and a balloon drop at midnight. Theory is another dance club hosting an event this year. From 9 p.m. until close, guests can enjoy dancing and drinks, including a free glass of champagne at midnight. Hotels in Dallas are an excellent way to start off your year. The Stoneleigh’s penthouse suite is home to a Gatsby’s New Year’s Eve party with an open bar, three DJs, and a champagne toast. On the other hand, Hotel Zaza will have a luxurious New Year’s event with dancing, party favors, hors d’oeuvres, and even room specials for those staying at the hotel for the evening. 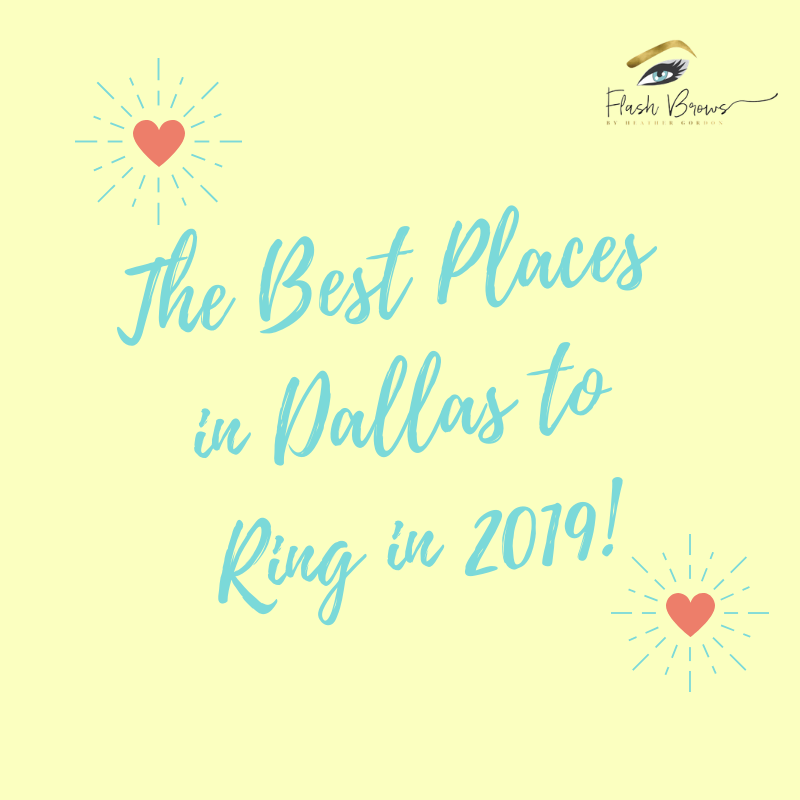 Look and feel your best when ringing in 2019 by visiting Flash Brows by Heather Gordon. Enjoy a microblading procedure for flawless, fierce looking eyebrows for the New Year. With microblading, you can wake up with your dream brows every single day. To learn more about microblading and to schedule an appointment, visit our website or give us a call at 972-804-4555 today!